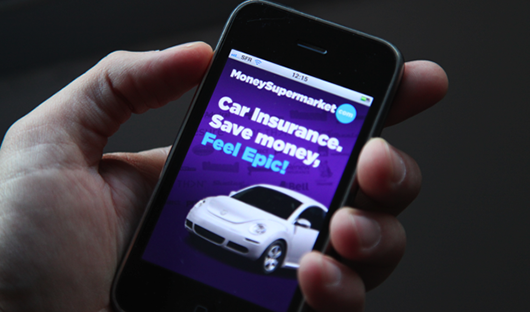 British price comparison service MoneySupermarket has become the first company to launch a car insurance comparison app which is expected to revolutionise the insurance buying process. 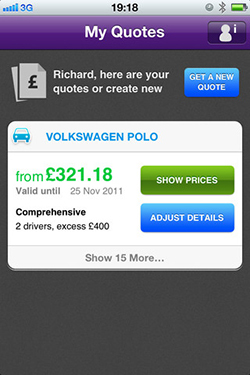 Developed by the Mobile Interactive Group (MIG), the app compares quotes available through over 100 car insurance with a presence on the MoneySupermarket.com website. This corresponds to one of the campaigns which are currently being led by the Association of British Insurers (ABI) whose research revealed that motorists stand to save 35% on average if they compare deals with as few as five different insurers. It is expected that this free app will therefore become very popular among iPhone users, with the AA reporting that the average motorist is now paying £921 per year for insurance. Once you have downloaded this free application onto your iPhone all you have to do is register an account for yourself with MoneySupermarket.com if you do not already have one. This is only a one-off thing, but it will make it quicker to retrieve quotes on subsequent occasions as the app will already have your personal details meaning that you don’t have to fill these in multiple times. This eradicates one of the biggest obstacles which normally found to dissuade people from comparing deals online at the moment, with the time required to fill in information and compare deals available through multiple different providers being recognised as a handicap. Entering vehicle details has also never been easier than with this app. All you have to do is take a photograph of a vehicle registration plate, and the app will automatically fill in the details required in order to calculate premiums for you on that particular type of vehicle. It does this by accessing the vehicle registration plate database stored by the DVLA and retrieving the data which is associated with that particular plate. So not only is it saving you the time required in personal details, but also information about any respective vehicles which you may be considering. It is expected that this will revolutionise the car buying process, with car insurance premiums on individual vehicles now becoming an increasingly important factor to consider when attempting to discern which type of vehicle to opt for thanks to the recent premium increases. If you are concerned that getting quotes for another vehicle will result in you losing any quotes that you have retrieved previously, then don’t. Previously run searches will be stored by the app for future reference. Contacting relevant insurers has also been made easier by this app, with each quote having a “click to call” button located alongside it which allows the customer to phone up individual providers. 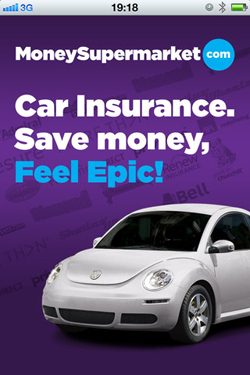 This MoneySupermarket car insurance app is available for download for free from either the MoneySupermarket.com website or via iTunes.